Thank you to Time Snap Shop for sponsoring this post. This post contains affiliate links. As always, all opinions are entirely my own. I know we hear it all the time, but the years of raising kids really do fly by. Lately, I have been trying to focus on how to capture the moments instead of looking past them. In a fast paced world, this can be challenging, but it is definitely possible. As I think about different ways to capture the moments, I realize that in order to do this, I have to be present. Moments are going to surpass me if I am not alert to what is going on. Personally, I use a mixture of ways to capture the moments. I figure if I do a little of everything, there is a greater chance of capturing memories. Seriously though, it is fun to see the different memories captured from different methods. There are those big moments that I never want to forget. One big moment, I aim to capture is the first and last day of school. Not only are these fun to look back on every year, but it is also fun to see how much a child grows over one school year. My boys love seeing pictures of the past. In order to keep track of what school pictures are from what year, we are loving using a board from Time Snap Shop. All I have to keep is one board for our whole family. It is brilliant. By using the wheels located on back, I can adjust the date, grade, and whether it is the first or last day of school. 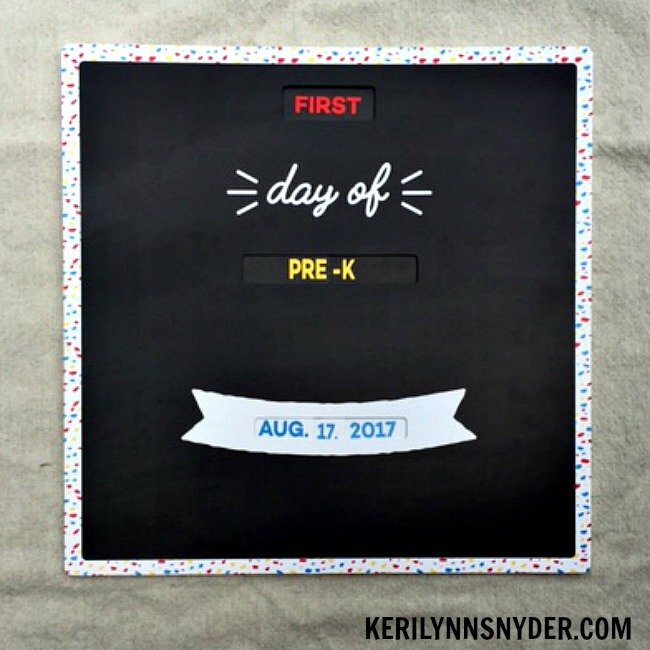 If you are like me, you love the idea of a cute back to school sign, but in the middle of school shopping and soaking in the last days of summer, you never make one. Time Snap does all the work so you can sit back and focus on capturing the moments. We started this tradition last year and it has been a huge win in our house. I started to realize that so many fun memories happen over the course of a year, but it is hard to remember them all. In order to fix this, we started writing down the memories on a piece of paper and keeping them in a jar for one year. 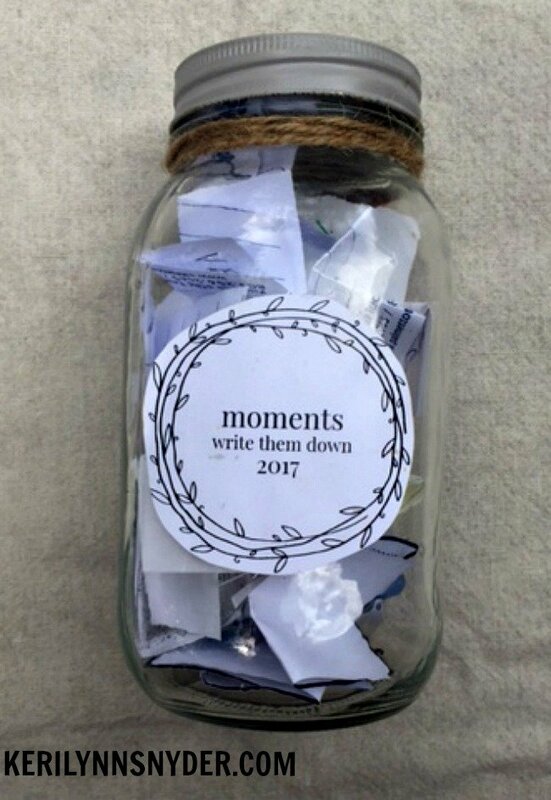 Then on New Years Eve or Day, we open the jar and read all of the memories. This past January, we sat down and opened the jar and had such a fun time reflecting on all of the good that had happened during 2016. We then put our memories into a little bag to keep. Grab your own Memory Jar Kit to get started! Growing up, I was all about Creative Memories scrapbooking. My husband laughs because I have quite a few albums of my life from birth to marriage. This is just what happens when your aunt sells Creative Memories. As much as I loved scrapbooking, it fell to the side once I became a mom. The funny thing was that I wanted to scrapbook more than ever but it just was hard to squeeze everything in. 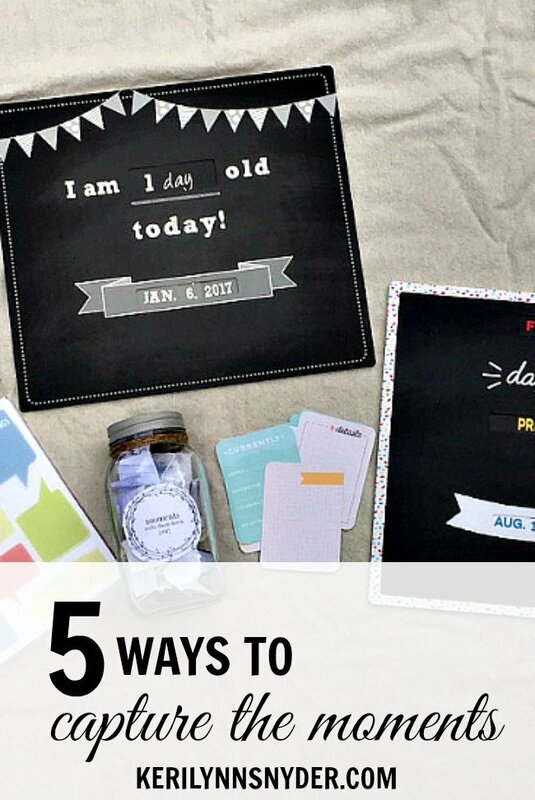 Then I came across Project Life and their app and all problems were solved. There are countless ways to organize your photos between Shutterfly, Chatbooks, and Project Life and I use a mixture of them. This is perfect to work in conjunction with the boards from Time Snap, as you can put those pictures in these books! A win all around! The point is to do what works best for you. I definitely have seen the value in having photo books as our kids adore looking through them and remembering the moments. During the first year of life for my younger two, I took a picture of them once a month posing with an age sign. It made for some adorable pictures and memories of watching them grow. Then when they would turn one year old, I would stop with the photos. 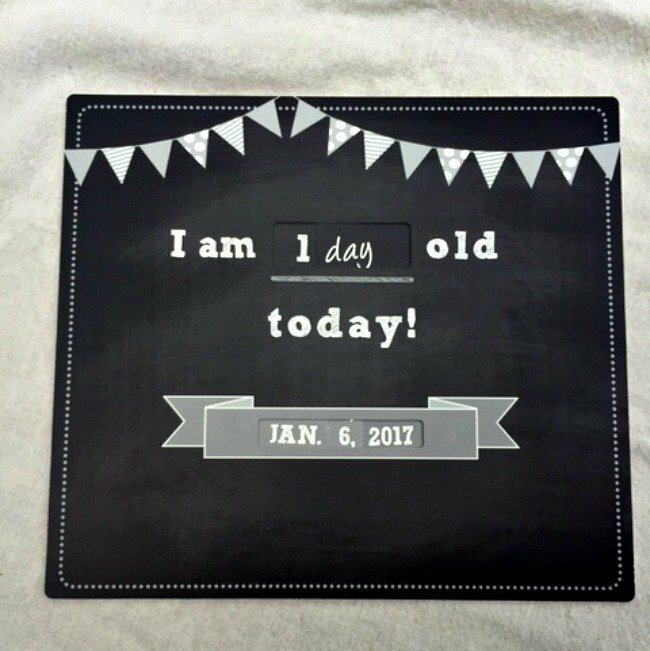 However, I am determined to keep at it thanks to birthday boards from Time Snap Shop. Looking back on the past eight years of motherhood, I can think of so many hilarious things that my kids have said. IT really is funny what kids will say. However, I have realized that my memory can be foggy at times (especially during those sleep deprived seasons), so I have had to rely on other options. 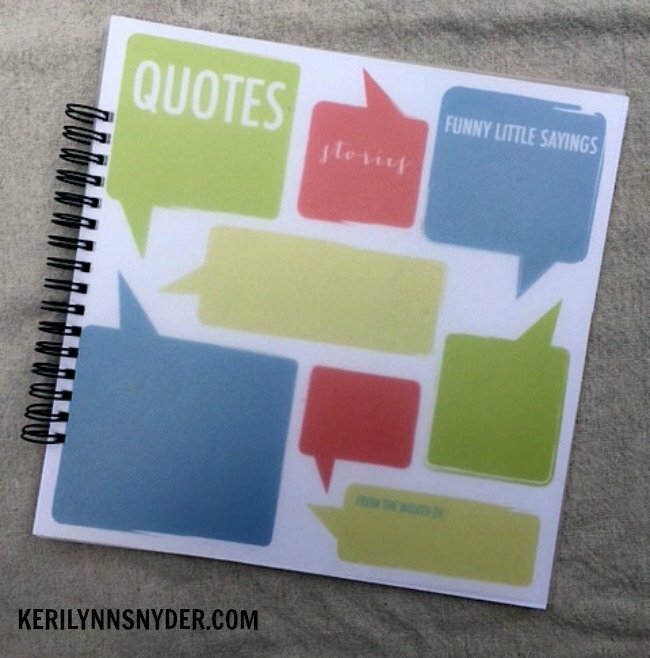 One fun and super simple way is to use a quote book. 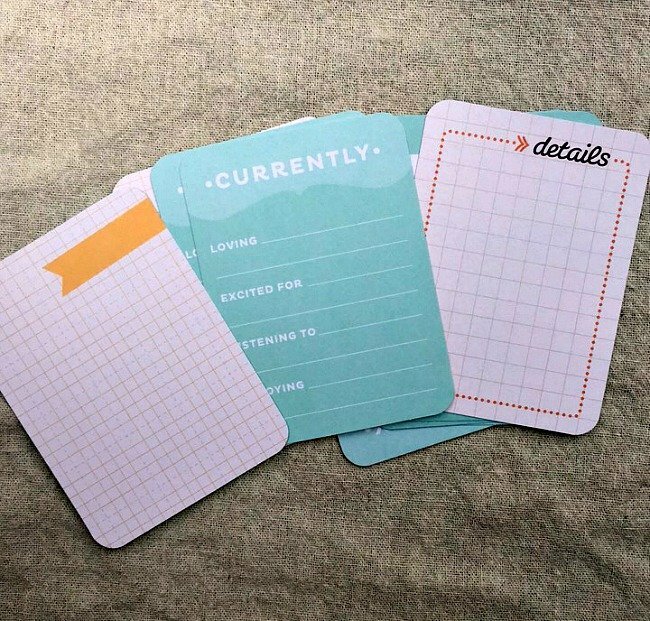 You could purchase one (similar version) or grab a notebook and start filing it up. I love to keep my out so I can grab it when a little one cracks me up. Isn’t it fun learning how to capture the moments? I love slowing the pace and taking time to see what is going on in our life. What about you? Do you have a fun method to capture the moments? Please comment below, I would love to hear your ideas! Those signs are so cute! I will have to check them out. We are having a lot of fun with them! These are such great ideas! I am always looking for new ways to capture memories. I’m actually trying to organize all my digital pictures right now. They’re a mess and it makes it too hard to enjoy them or create a book. These principles are definitely helpful moving forward! I understand, this has been an ongoing project of mine too! Great ideas! My favorite being the mason jar. Would have never thought of that. Thanks! It has been a really fun one to have in our home! These are so cute!! We’re starting the memory jar and then reading it on New Years- I absolutely love that idea!! It is so much fun! The kids always love it! Love your ideas! I am the worlds worst when it comes to capturing the memories! Thank you! It is definitely hard to make time to do. I have found that the more I make time for it, the more it happens! Best wishes with it!